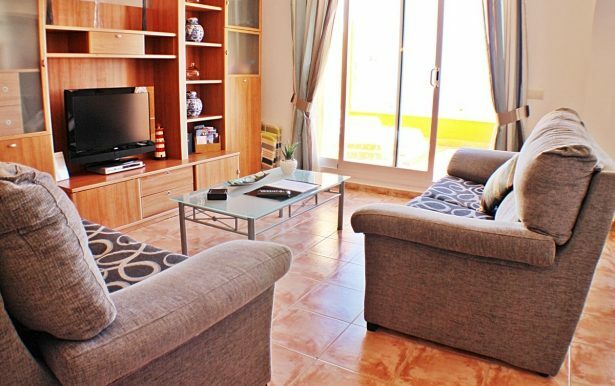 This duplex apartment is in Pueblo Panorama, Cumbre Del Sol (The translation: Hilltop of Sun) which is an apt name for this beautiful coastal location situated on the most eastern point of the Iberian Peninsular in the Costa Blanca, Spain. 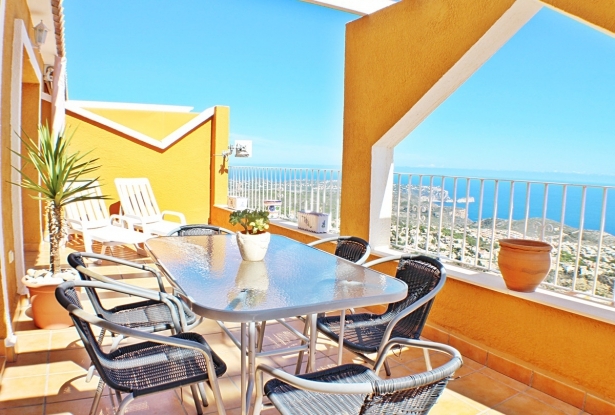 The self catering apartment is located at the highest point of Cumbre Del Sol. 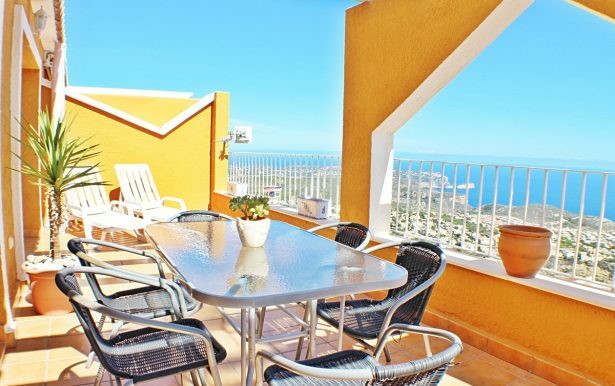 It gives stunning views of the Mediterranean Sea and the coastline from Javea to Calpe. 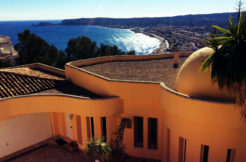 Even Ibiza can be seen on clear days. 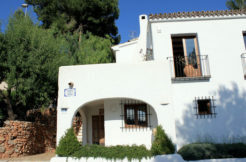 Only 10 minutes drive from the blue flag beaches of Javea and Moraira, this is an ideal getaway. 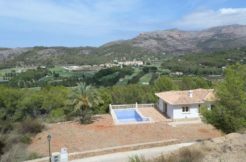 A car is essential at this hilltop retreat though local restaurants, shops, golf courses, horse riding and many other things to do are all available in the surrounding area. 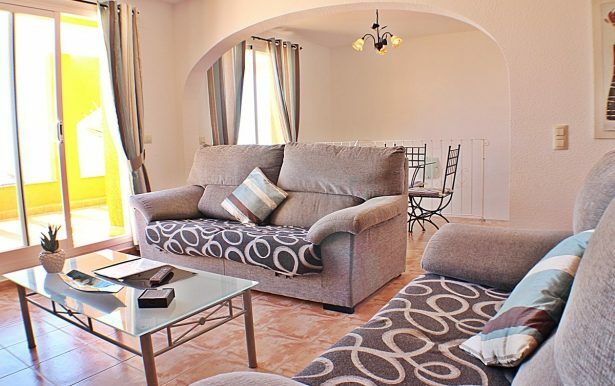 The apartment is furnished to a high standard with Air conditioning, two sofas, coffee table and large TV unit. The living room leads into the dining room through an arch and consists of a dining table and six chairs. Both rooms have large patio doors which lead onto the large furnished terrace and two sun lounges. Over 25 English Satellite TV programmes and 20 foreign channels, DVDs/Books/magazines. Fitted wardrobes. 2 twin bedrooms, 1 double bedroom. American style fitted kitchen with electric fan oven and hob, fridge freezer, microwave, kettle and toaster. Utility cupboard: washing machine, iron, board. 2 x Tiled bathroom with WC, basin, bidet and shower, bath. The Award Winning designer infinity pools are available for exclusive use by guests and bring the Mediterranean Sea to this quiet communal area. Overlooking the Cumbre Del Sol area the views are truly amazing.